It’s no secret that social media has made an impact on the marketing world in the last few years. But of course, awareness of something is completely different from effectively taking advantage of it. Just having social media pages for your brand is not enough. You need to figure out a few things first in order to use social media to its fullest potential. This is where social media metrics come in to play. If you’ve been watching the social media marketing world go swirling by while you stand on the bank, not sure how to tap into the stream of opportunities, this article is the perfect way to get some inspiration and then dive right into the current. While using social media has been a smashing success for many companies, it doesn’t mean all you need to do is create a couple of profiles on Facebook and Twitter, pop up a few posts, and everyone will just come flocking to you. There are many very specific and purposeful strategies that companies employ to maximize their social media marketing efforts in an attempt to stand out from the crowd. One important step is taking the time to understand exactly how social media can impact your company’s online presence in the first place. For instance, it can be used to bolster your company’s brand image, drive traffic to specific blog posts or event pages, or even be used to interact and communicate with your customers on a more intimate level. When you boil it down, this purposeful attitude applies to every digital asset that a company possesses, all of which should be analyzed and optimized as much as possible. This article from Rutgers lays out some of the best ways you can manage all of your digital assets, including elements such as the use of videos and geotagging, both of which affect social media. Now that we have a solid purpose in mind, let’s dig into how to go about implementing a social media strategy and determining the right social media metrics. KPIs, or key performance indicators, are, in their essence, the important pieces of information that you want to be keeping tabs on during your social media marketing efforts. The reason KPIs or social media metrics are critical with any social media strategy is that it can be very easy in the flashy world of online society to get wrapped up in more meaningless minutiae, like total followers on a page or the number of likes on a post. That doesn’t mean these factors have zero impact. On the contrary, they can be very important in helping to grow your online presence, creating traffic, and can even help demonstrate to unwilling or hesitant leadership the potential buzz that a good social media strategy can create. However, at the end of the day, getting foot traffic into the store doesn’t automatically equate to sales. The more important factors that should be on any thoughtful marketer’s radar are things like finding new customers and generating revenue, along with implementing a scheme that allows you to track and attribute said revenue to your social media efforts. This doesn’t have to be a direct connection, either. There are tools that can track how often your social media was the initial influencer that led to a sale, even if a customer didn’t click directly through a link on your Facebook page or Twitter account in order to make a purchase. Tracking and measuring social media metrics data is critical, as it allows an enterprise to measure how many new customers, and ultimately how much revenue, they’ve made off of their social media platforms. Once that data is available, all that remains to be done is to compare the income to the expenditures that were necessary to attain them. Remember, this isn’t just about creating a viral post or trying to be that one company in a hundred that makes a huge splash and lands a huge Facebook following. One of the best ways that a business can use its social media in order to find new customers and revenue comes in a more hidden form that is available to all companies, requiring much less large-scale success. 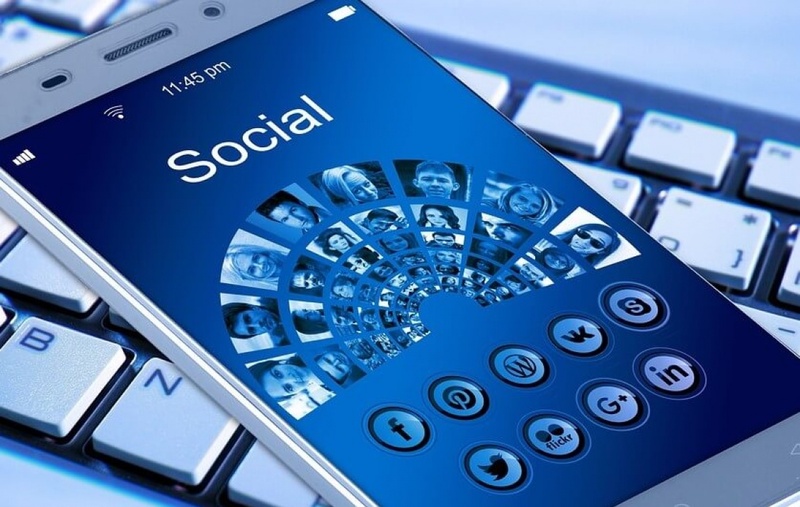 Social media provides a unique way for a company to directly communicate with its customers in real time, providing a level of one-on-one interaction that can work wonders. Don’t glaze over and miss the point here. This simple adjustment in your approach can revolutionize your company’s social media efforts overnight. When companies, big and small, can begin to view social media as an opportunity to interact with their customers and get to know them, hobnobbing, answering questions, and exchanging meaningful information (not just sales pitches), it changes the game entirely. Suddenly, rather than going for the “one in a million success story,” all you need is a handful of followers to start having conversations that lead to meaningful, measurable success that can genuinely impact your business’s brand, image, and even its bottom line. Using social media metrics can help. Social Media: Boom or Bust? Boom or Bust? That’s the question, isn’t it? When social media is treated as a general panacea for a company’s marketing challenges or, even worse, is only done out of obligation because everyone else is doing it, it sets the situation up for failure from the get-go. If marketers are simply looking for a quick way to get a ton of traffic that will magically turn into sales, they are going to be disappointed. However, when social media marketing is approached in a meaningful, measurable way, it allows a company to interact directly with customers, facilitate both general knowledge as well as sales by answering questions, and track the results in order to tailor future efforts for maximum results. Using social media metrics can only help improve your results. Adrian Johansen writes to both teach and learn. She loves sharing her experiences and hearing what other people have to add.